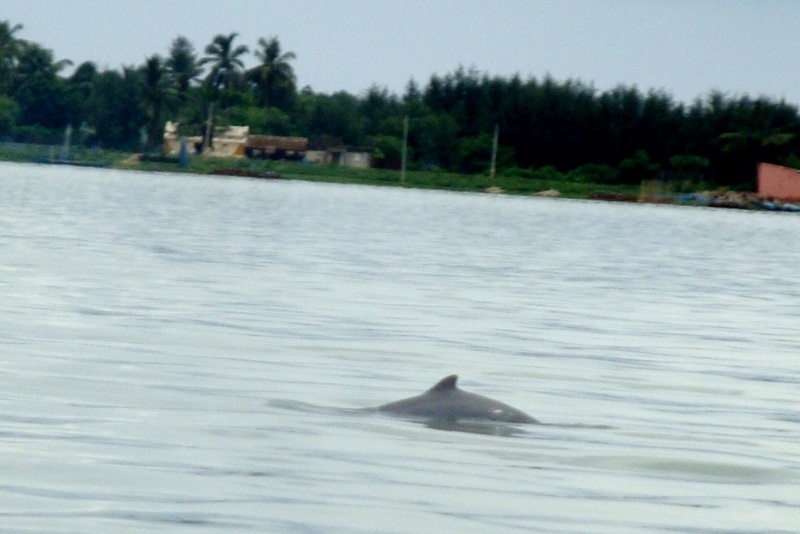 My tryst with Dolphin’s of Chilika Lake. You might be thinking, what this guy is doing? At one place talking of Dolphin’s and then this trip revolves around India only. Well very less people know that India too is home for rare Dolphin’s thought not the one’s which were galloping in front of kate winslet and Leonardo De Caprio in Titanic Movie. Last two months have been the most adventurous months of mine, somewhere got the thumbs down and somewhere thumbs up. Story started from Sariska National park where I went to see The Tiger but got Thumbs down and came back watching peacocks only and white breasted eagle. This time I was heading towards Chilika Lake in Puri Odisha. It was the second day of my Puri trip. 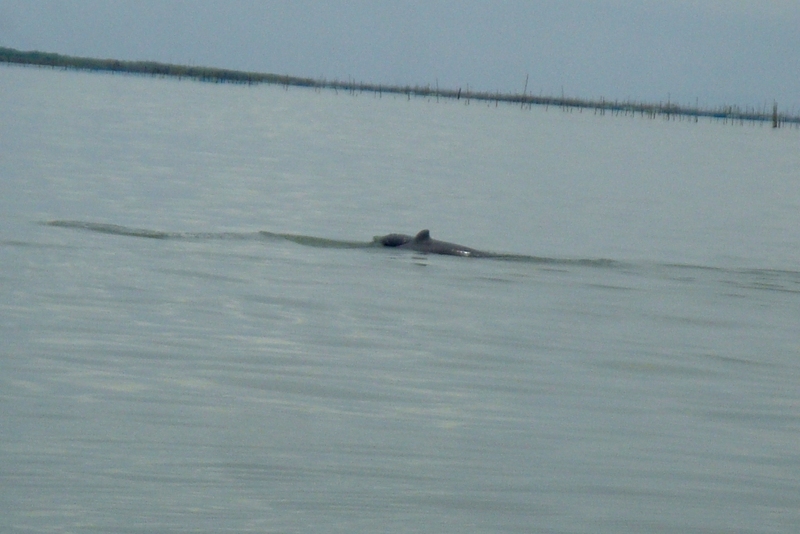 Chilika lake is famous for Dolphins and my fingers were crossed this time. Me and my wife were ready for a long trip, Dolphin point is some 2 hrs away from the starting point. Boat man had told us to be alert when we reach the Dolphin point, and he was right, she would come only for a second out of the water to breathe and back in water. This thing happened with us at least 3-4 times when boat man shouted “There sir, Dolphin” and till the time we could see that side she was gone. At last, our boat was stationary at a point and we were standing on the edge of the boat. Suddenly a splash of water came and Dolphin came out , “Yes yes yes there she is“. Fun was not over yet, she came back again some meter’s away from the previous point. 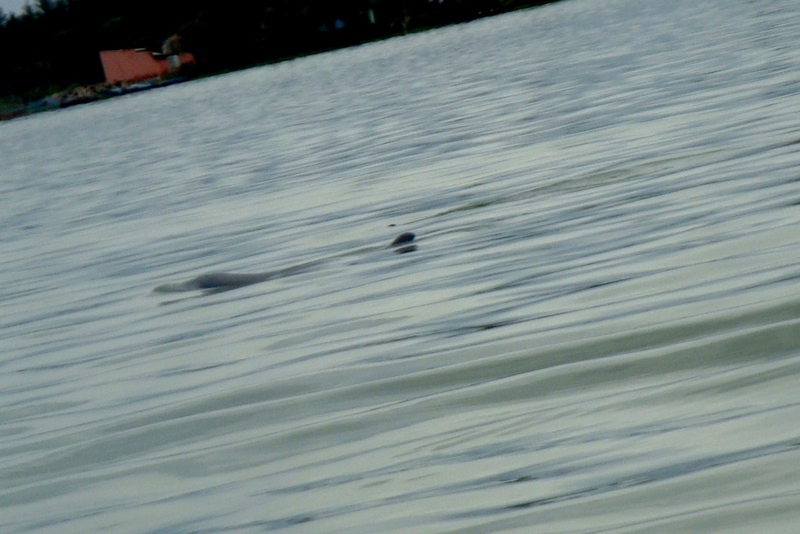 This time I could see her fin clearly, wife was busy clicking pictures of Dolphin from her Digital camera (These pictures are from her camera only, I couldn’t click a single one from my DSLR thanks to view finder which made it tough). We were about to turn back, by the time our boat man could reverse his boat, Dolphin gave one more glimpse of her, this time bit more further but more clear like she has started liking us, wants us to go back with happy happy memories. Other than us there were some 5-6 boats more, everybody was shouting ye ye ye, don’t know why as every boat man guides the travelers that be silent when we are at Dolphin point as they also have ears and voices does scare them. Now was the time to move back, some 2 hours more would be on boat only to reach back, and some time would be gone on Sea mouth also. bye bye Dolphin, we would be meeting again some other time.